Our parishes provide many opportunities to help you with your Lenten practices of Prayer, Fasting, and Almsgiving. Please take advantage of these moments at our churches - spend time with the Lord, meet and get to know other parishioners, invite friends and family, grow in your prayer life, and most importantly, get closer to Jesus this Lent! Into the Desert - A Lenten Study on Prayer: Visit Formed to begin this study! Our Lord teaches that prayer is a relationship and a vital necessity. And yet, many of us have difficulty committing to daily prayer. Follow Jesus into the desert this Lent and discover intimacy with God in this 6-week video-based study with daily meditations in the participants guide. Dr. Tim Gray masterfully uses the discipline of Lectio Divina to show you how to make prayer an effective effort of love and intimacy. This series captures the secret to opening our hearts and minds to Scripture as the means to hear from God and then respond in conversation, basking in his presence and resolving to live in and through his love. CRS Rice Bowl: Join our faith community in a journey of encounter. During the 40 days of Lent, we will encounter our neighbor. Pick up your Rice Bowl in the parish gathering spaces, read the bulletin, and visit www.crsricebowl.org . Stations of the Cross: Join us on Wednesdays at 6:00 pm at St. Pius X and Fridays at 6:00 pm at St. Anthony to pray and reflect on Jesus' way to the cross. Sacrament of Reconciliation: Reconciliation is available every Saturday from 3:30 - 4:30 pm at St. Anthony and Sundays and Wednesdays from 7:30 - 7:55 am at St. Pius X. Additional Confession times for Lent are listed in the bulletin, on the website Events, and the Facebook page. Knights of Columbus Fish Fries: All you can eat fish fries! We begin serving at 5:00 pm until the fish runs out. Includes fish, potatoes, tater rounds, coleslaw, rolls, homemade desserts, and beverages. 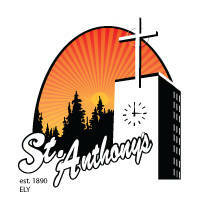 March 8 & 15 are at St. Pius X in Babbitt; Fridays March 22 & 29, April 5 & 12 are at St. Anthony in Ely. Soup Suppers: The women of St. Pius X will begin serving Soup Suppers the week after Ash Wednesday: March 13, 20, 27, and April 3. Everyone is invited to join together for four delicious varieties of soup served with homemade bread, crackers, and beverages. Free-will offerings are accepted and donated to those in need locally.